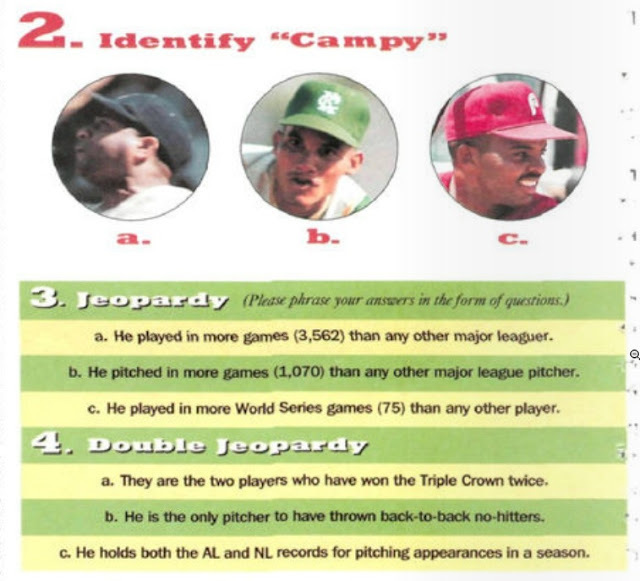 This 10 question Baseball Aptitude Test (BAT) is from a 1991 Sports Illustrated. I'll post the answers in a few days, but in the meanwhile, why don't you put your BAT to the test! 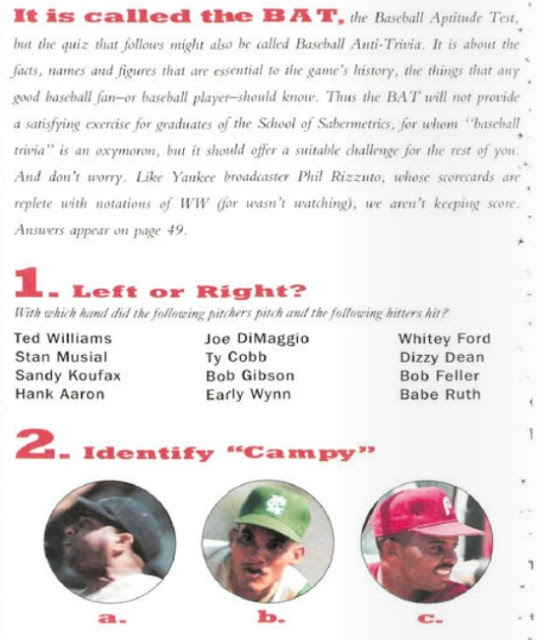 Aaron, DiMaggio, Gibson, Wynn, Feller, and Dean are all righties. The rest are Lefties. 3. Who is Pete Rose. 4. Who are Rogers Hornsby and Ted Williams. 5. 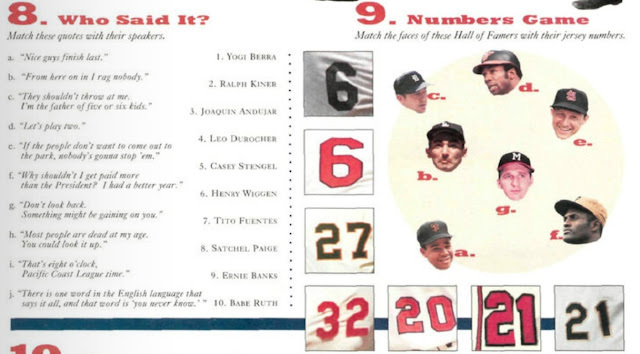 .367 Cobb BA, 130 Henderson SB's, 61 Maris HR, 190 Wilson RBI's, 41 Chesbro Wins, 755 Aaron HR's, .406 Williams in 1941, 3'7" Gaedel's height, 1.12 Gibson's ERA, 59 Hershiser shutout ip, 4256 Rose hits, 2130 Gehrig's games, 56 DiMaggio's streak, 511 Cy Young's wins, 1894-1950 IDK, i'm guessing Connie Mack's manager streak, and 10/3/51 is the shot heard around the world.